You can sell your product on an eCommerce platform, sell from your own site, or join a larger marketplace. The is a quick guide to finding the right option. The world of eCommerce is growing every year. A whopping 45 percent of American consumers were projected to shop online this past holiday season. With this type of growth, the toolset online sellers have at their disposal is expanding every day. From selling products on Amazon to installing simple WordPress plugins, anyone can set up an online shop. When businesses consider selling online, they often focus on the product first. This is obviously crucial and you have to get this right. You won’t sell anything without a great product. However, this is only the first step to online selling. You have many choices when it comes to selling your product. You can sell your product on an eCommerce platform, sell from your own site, or join a larger marketplace. The following is a quick guide that will help you decide which option is the best for your business. There are many eCommerce options that allow sellers to create their own e-store and add sales options on their own website. This is the perfect option for smaller businesses that have a wide variety of digital products, like eBooks, videos, apps, magazines, and podcasts. Selling directly from your own website allows you additional marketing opportunities, like promoting special sales on your blog and embedding a sales option into the post. Selz is a great option for digital sellers, as it’s incredibly versatile. Sellers with existing websites or blogs can easily embed sales options while also managing sales through their social channels. Selz is user-friendly, affordable, and works with platforms like WordPress and Blogger. 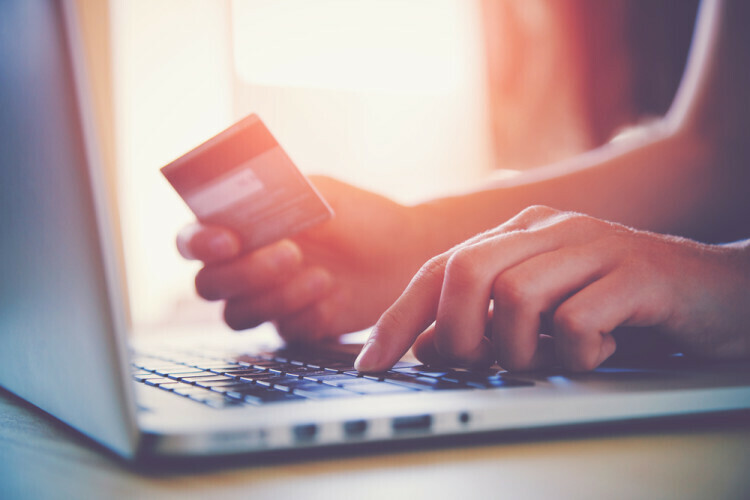 Unlike some other providers, Selz also processes credit card transactions on your behalf, so there’s no need to have your own payment processor. Selz even has the option to open a free Facebook store for those businesses with a large social media following. 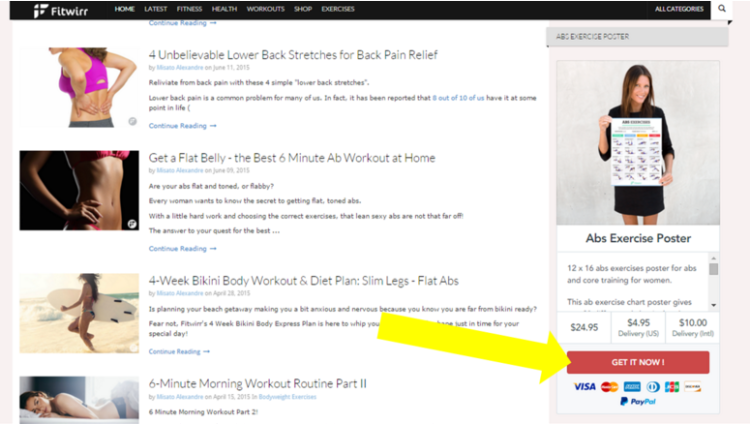 Fitwirr, a health and fitness website, uses Selz to sell a wide variety of workouts. Each product can be embedded into the Fitwirr site as a side widget or into a page. The following is an example of how one product can be embedded into a website, with an option to buy directly from the site and the product will download instantly. The idea that a business needs more than one checkout process is outdated. Today, it doesn’t matter if you sell online, offline or both. You can use the same checkout system for your entire business. This simplifies the entire process, and allows for a more streamlined management approach. If you have a local business, but want the option of selling your products online, there are eCommerce platforms that can do both. The leader in integrated selling is Square, Inc. Their Square reader for offline businesses is quite recognizable; however, Square is also a great option for local sellers who also sell online. Mr. Tod’s Pie Factory, a small bakery business with several locations in New Jersey, uses Square to sell their pies online. Square, Inc. has an option to create an online store and link it to a business’s website. This allows Mr. Tod’s Pie Factory customers the ability to buy and ship pies to any location. As eCommerce has grown, the opportunity for niche sellers has exploded. There are now several different types of marketplaces that cater to one specific niche. Etsy, a marketplace for crafts, vintage items, and handmade goods, reached $1.93 billion in gross merchandise sales last year. This powerful eCommerce platform has over 1.4 million sellers, and an amazing 19.8 million buyers! There are both pros and cons to becoming part of a niche marketplace. It’s easy to reach your target market, as every buyer is looking for products like yours. However, it’s tough to stand out in such a crowded marketplace. So the trick is to be unique enough to lead customers to your product, even when they have a million different options. Do some research to see if there are any niche marketplaces in your industry, and whether it makes sense for you to sell using their platform. Also remember, that using a niche marketplace doesn’t stop you from selling directly from your own site as well. Ruby Lane sells a wide variety of antique and vintage products. The Vintage Genie, a Ruby Lane store, specializes in women’s clothing and accessories. Chairish focuses on used, vintage, and one-of-a-kind art, fashion, and home decor. Magpie Fields sells upscale home items. Zazzle, a marketplace that customizes sellers items (paper goods, t-shirts, pet goods, home items, and so on), is a different take on the traditional niche platform. Instead of selling their own products, sellers customize Zazzle products and create their own e-store. Deciding how and where to sell your products can be challenging. However, one thing to keep in mind is that you’re not limited to one choice. If you choose to sell directly from your platform, you could also set up a shop on a larger marketplace. Many of these shops are free to set up, and you’re only charged when you make a sale. The Maine-based business Rough & Tumble, which sells handmade leather bags, started as an Etsy store. From their online success, they opened a local shop in their hometown and are now opening a flagship store in a larger city. Even though they have a new custom website where consumers can shop direct, they still have their Etsy store. They didn’t limit the places where they sold their bags to one option, but expanded as they grew to include more sales options. The goal is to decide which option best fits your business. But, don’t put limits on your success; choose the eCommerce platform that gives you a decent chance of success, and grow from there. Remember, the right eCommerce platform will open doors to new markets and help your business find new customers.